Carotid atherosclerosis. Artwork of the arteries (red) of the neck and head, showing the carotid artery narrowed due to atherosclerosis, the build up of fatty plaques (atheroma, yellow). Atheromas typically consist of cholesterol, decaying cells, blood cells and fatty proteins. Narrowed blood vessels raises blood pressure, which puts strain on the heart. 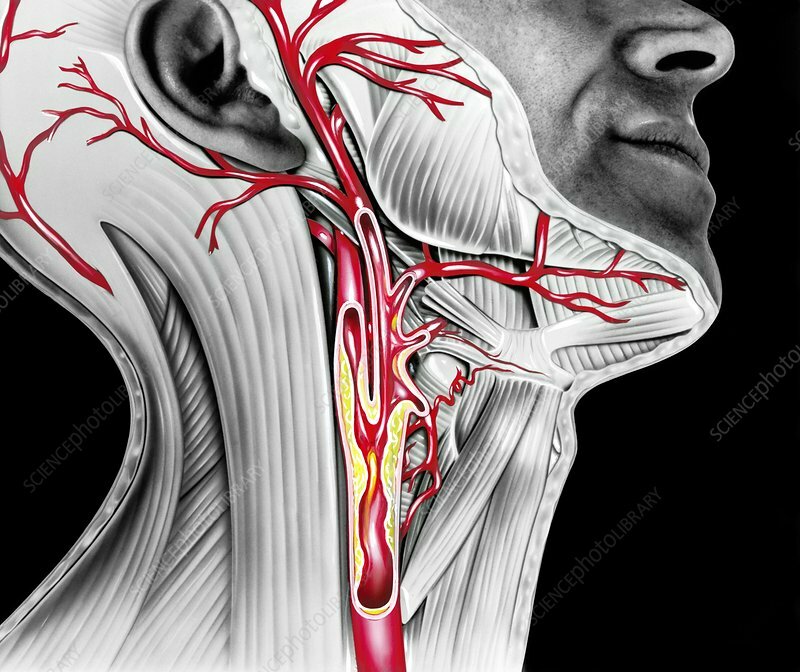 Atheromas blocking neck arteries can block the flow of blood to the brain, causing a stroke. This atheroma is at the bifurcation of the common carotid artery.